ST. GEORGE — Martin Farnsworth, the 16-year-old accused of bringing a homemade bomb to Pine View High School earlier this year, pleaded not guilty Wednesday for attempted murder and possessing a weapon of mass destruction. Farnsworth made the plea during a short arraignment hearing in the 5th District Courthouse in St. George. 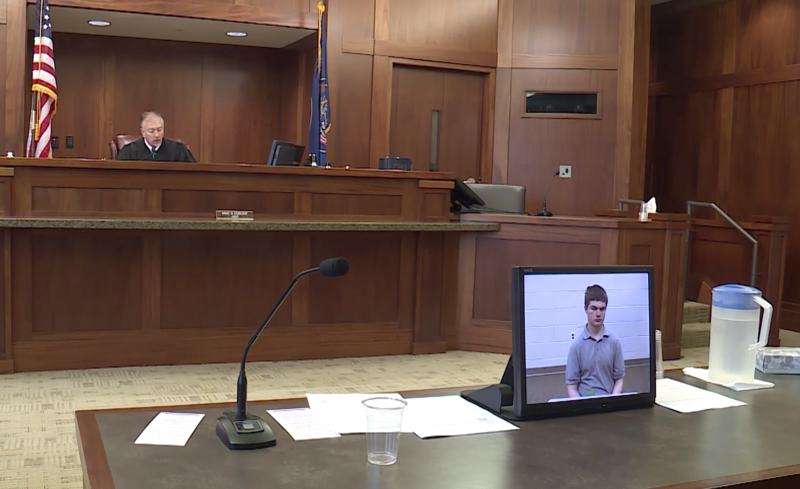 He also appeared briefly via video conference for his initial appearance in district court Tuesday after a judge ruled last week that he’d be tried as an adult. Farnsworth’s misdemeanor charges for vandalizing Hurricane High School and abuse of the flag will remain in juvenile court. During the arraignment hearing Wednesday, Farnsworth only pled not guilty to his two felony charges in the district court and not the misdemeanor charges. Farnsworth’s not guilty plea was “procedural,” Deputy Washington County Attorney Angela Adams told St. George News, adding that it was just entered so he reserves his rights so the court process can proceed. “This either allows us to resolve it or go to trial,” Adams said. 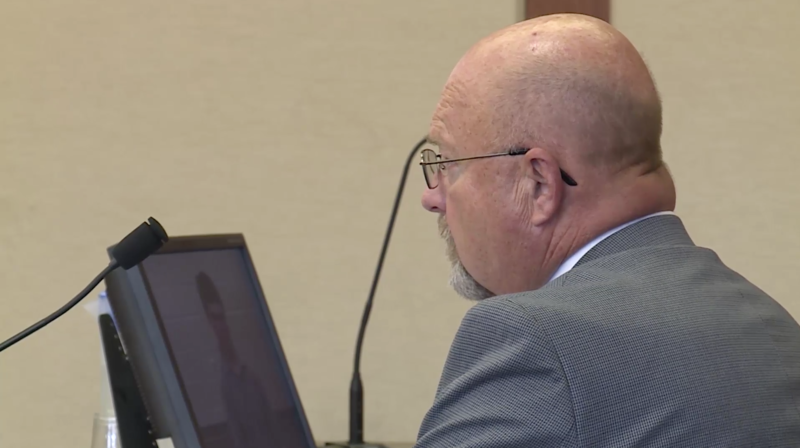 Whether Farnsworth will plead guilty or not guilty to his charges if the case goes to trial depends on whether the case can be resolved without a trial, Adams said. 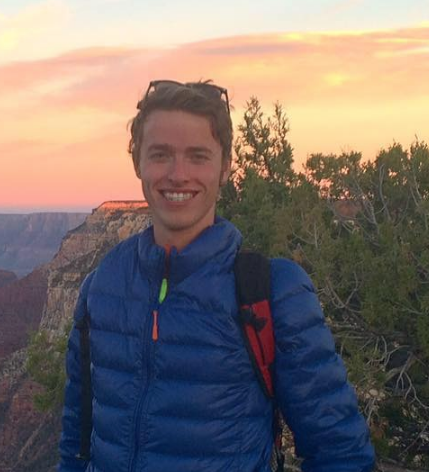 Farnsworth is currently being held on a $200,000 cash-only bail for his felony charges, which stem from a March 5 incident where he allegedly brought a bomb inside a backpack to the cafeteria of Pine View High School. The bomb never exploded, but the entire school was evacuated. He’s also accused of vandalizing Hurricane High School Feb. 15 by painting “ISIS is comi” and raising a flag for the Islamic State outside the school. During his initial appearance in district court Tuesday after his preliminary hearings in juvenile court, Judge Eric A. Ludlow said both first-degree felonies carry a minimum sentence of five years in prison each. He was either an adult, or a juvenile – yet he faces charges in each system. We really need to look long and hard at our legal system and figure out what we are trying to do. It’s hardly that complex. The felony charges for the bombing attempt are not part of the defacing of Hurricane HS, which happen to be misdemeanors. Two separate issues with two separate judicial processes. I think you are both correct without contradicting each other. Procedurally mesaman is clearly correct but I think many of us find the system overly complex to navigate. Just seems odd that the judge found him capable of standing trial as an adult but that doesn’t influence the lesser crimes. We recognize its the legal structure but just seems inconsistent. There’s so much wrong here. The fact that he stated he didn’t care if someone got hurt and then pleads not guilty. What a bunch of BS. If our system operated better I would agree but sadly its often a needed plee to manage the rest of the case. Crime and justice aren’t as binary as the wording invokes but not-guilty is how you get to defend yourself in front of a jury or judge and is a critical step in setting the stage for sentencing. His legal team still has the chance to lay out critical details. That said, I’m guessing he will spend at least a few years in jail given the judges choices and the current details. this little psycho is headed for the big house. The autism thing probly isn’t gonna play. Maybe they’ll make a last ditch effort for an insanity defense. Won’t work tho. We’re too hung up on punishment when we should start figuring out how rehabilitate. This is just a dumb kid who couldn’t even make a bomb right. Everyone wants to see him punished but no one wants him to get better. Well, he’s going to learn from the best while he’s in jail and they’re going to let him out sooner that you think. It would be better for him and society if he got the emotional and psychological help needs to rejoin society–instead he’s going to be mentored by our finest incarcerated criminals, that’ll sure set him straight. Hey, bit at least it’ll satisfy our need to see him pay for what he’s done.